You wanna be starting something? Well firstly thanks for all the lovely comments on my last post! They made my day and made me feel great. I hope you dont mind me using song lyrics for some blogpost titles, sometimes its tricky to come up with a title and I am always listening to music, so it makes sense. This week has absolutely flown by, its a good thing though. I managed to convince Adam to take me to Leeds after work tonight so I could get a new diary. I'm sorry but the pathetic excuse of a diary from WHSmiths just aint cutting it! The nearest Paperchase is in Leeds and luckily Adam was feeling kind and took me over. I'm without my car now until my new one arrives. She's sat in the driveway looking all lonely. The reason is because I didn't want to spend £80 on tax when I'm getting Penelope (yes thats the new cars name) on March 1st. Its awful not having my little brum brum, I feel like it plays a big part in my feeling independent. I'm insured on Adams car so I've been using that when I need to but still theres nothing like being able to take yourself wherever you want, whenever you want. So here's the bits I got tonight, you've seen it once you've seen it a thousand times, my obsession with stationary. I will be buying stationary when I'm claiming my pension I tells ya! So I bought a nice diary, they also do it in purple and black. 2 pens, a sweet little heart one and a black gel pen, really liking writing in liquid/gel inks at the moment *saddo, cant quite believe I'm admitting this. * Then I got some stickers, why? God knows, I thought I would find a use for them somewhere but now I'm starting to question my motives, and finally a Money Planner. I think theres a fine line with what you should and shouldn't divulge online, but I really want to pay off my debt. I'm not in masses of debt but I do have a pesky overdraft and credit card that I want to pay off once and for all. I'm also really serious about saving up so want to learn to manage my money better. I'm hoping this little file will help me keep track and most importantly control my pennies. 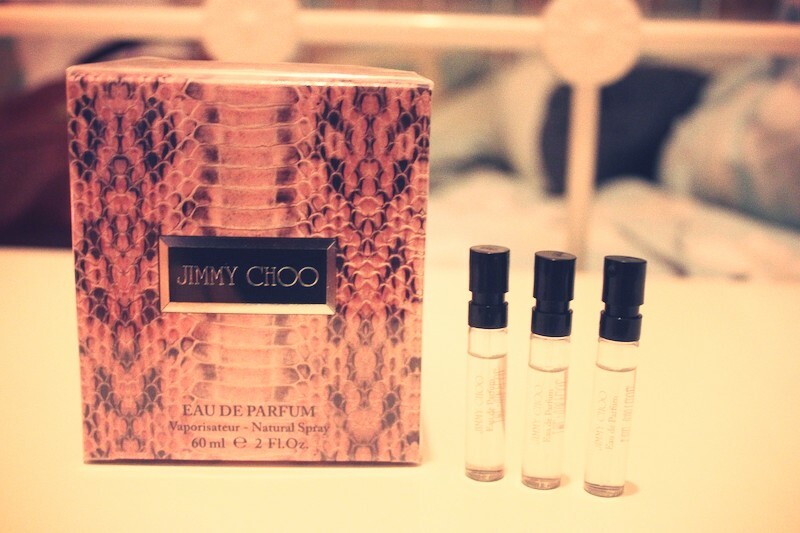 I also finally got the Jimmy Choo fragrance. I first sniffed this at the Trafford Centre and it immediately reminded me of another perfume. I can't for the life in me what it is but its really nice. Laura was the only one who took the plunge and bought it, I'm glad I waited because Adam ended up buying for me as a Valentines treat! I was also very pleasantly surprised when the lady at Boots popped in three samples to put in my handbag, very generous and it means I can use them until I'm allowed my big bottle on Monday. I'm thinking of things to do this weekend and I really fancy going to a Zoo or Safari Park, something along those lines. Any ideas? Also are there any particular blogposts you would like to see? I'm planning on doing a series that could potentially go on forever. I'm going to do one each week and it will be "My Top Ten..." I think this is a great way to share with you my favourite things and any stories behind them. I'm thinking Top ten books, films, shops, music artists, foods, places to visit, websites, shoes, holiday destinations I'd love to visit, you get my drift. I'm going to do the first one this weekend and one every weekend after then :) Let me know if you think its a good idea and I'll get my thinking cap on for more of my Top Tens! PS for those of you who asked the Mac I was wearing in my last post is this one from New Look. I can totally relate to the stationary obsession!! I'm a little OCD about which pens I use to write notes for uni, I like gel pens with a 0.7 nib in black (and red for writing important things). If my pen runs out I literally can't do anymore work until I manage to get to WHSmith!! Like the sound of the Top 10s! Haven't even smelt it but I want the perfume now. Don't suppose it would be so bad to buy it for myself?! I usually think that perfumes are something you'd receive as a gift. I love you for buying stickers! I still have my sticker book from when it was a fad in our school years ago and I've got pages and pages of stickers collected over the years! Love the idea of the top ten series. Good luck with the money troubles! The perfume smells just like Flowerbomb to start with, its made by the same designer who made flowerbomb also, hence practically the same bottle!!! My birthday money will be going on the new Jimmy Choo perfume! 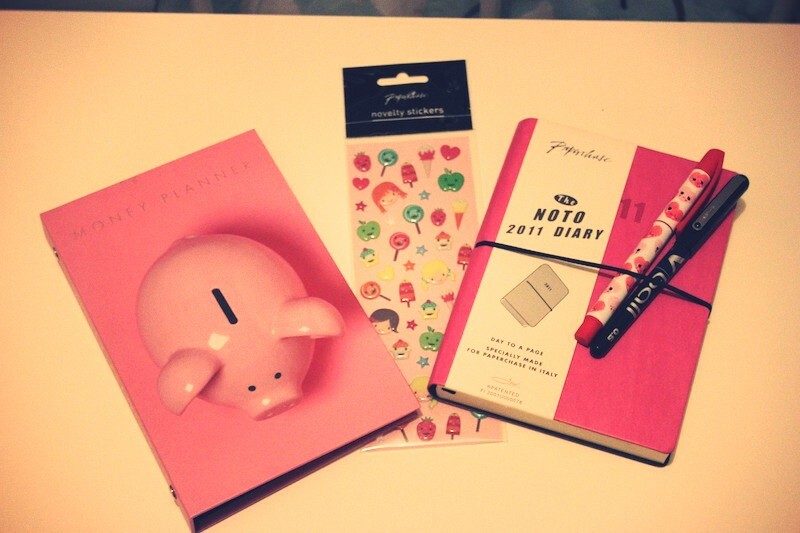 Another stationary addict here, love the diary! !